When you start out designing, it can seem very hard and vague. There are no clear set rules in the world of graphic design and it can be hard to get into the right mindset. Graphic design is much about practice. You not only need to get comfortable using design software and tools as you do need to be learning to be creative, thinking outside of the box and be inventive. 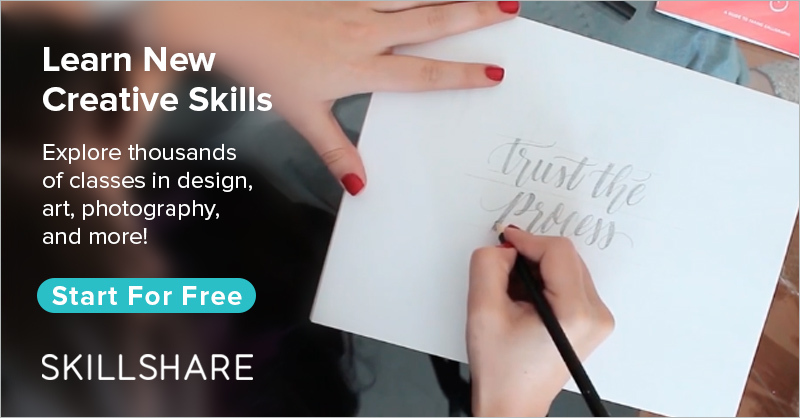 It is entirely possible that you don’t feel that you have those qualities and traits but having an interest in becoming a graphic designer already shows that you are interested in and thus capable of learning to be a graphic designer. Any experienced graphic designer and logo designer will tell you that sketching and drawing are one of the most important stages of designing a new logo, product or graphic. You’ll need to get comfortable using pencil and paper to put your creative ideas onto paper. Don’t start out on Photoshop or Illustrator as these make it harder getting your ideas out on a canvas. Practice is very important to become a better designer but also to keep yourself sharp and creative. Once you have clients coming at you at a steady rate, it’s easier to get to design every day. If you are just starting out designing, it’s often very hard to get your first clients and thus very hard to get to practice on real-world clients. FakeClients.com provides a partial solution to this problem and lets you practice on fake clients. This, of course, isn’t much the same as a real client. Another great way to get some practice is to redesign existing brands, come up with your own brand or providing free designs to businesses and people. More practicing exercises: "Graphic design practice exercises"